Watched again on blu-ray last night. 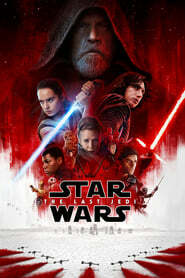 Struck me how rewatching it (and this will be my last for some time - rare indeed I'd watch a film three times in such a short space of time) is the opposite to The Force Awakens - whereas that film's frustrations became more pronounced when revisited, TLJ has only grown in my estimation with each watch. The film's sense of purpose and mostly the virtuosity of the filmmaking are only enhanced IMO when you have the opportunity to reflect on them a bit more. Particularly love the plants and payoffs - Rose's "I wish I could put my fist through this whole lousy, beautiful town" realised in the anarchic Fathier chase; the 'spark of hope' repeatedly referenced before finally being visualised in the final shot; the entire Luke narrative biding its time before delivering his ultimate heroic act. While the special features are reasonably limited in terms of deep insights, what they do highlight in no uncertain terms is one of the reasons the film has such a sense of presence - the focus on physical effects and traditional filmmaking even in a CG-heavy film. While SFX is used to enhance the scene (the burning fabric making it a whole lot more dynamic), the Praetorian Guards scene comes across as almost a Raid-like exercise in visceral choreography. For a bloodless scene, it's brutal. Watched this today with my bairns. Excellent link between the old and the new. Ep9 can now continue the story with an (almost) entirely new cast of protagonists.